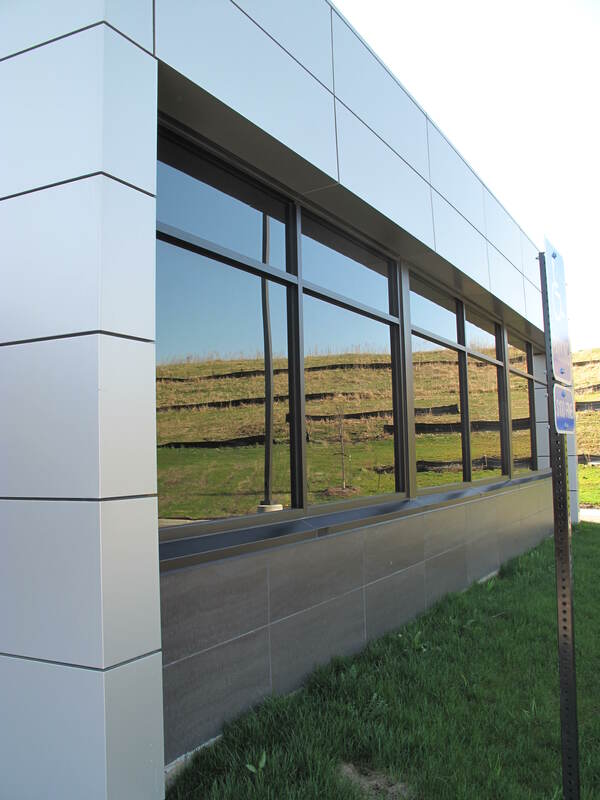 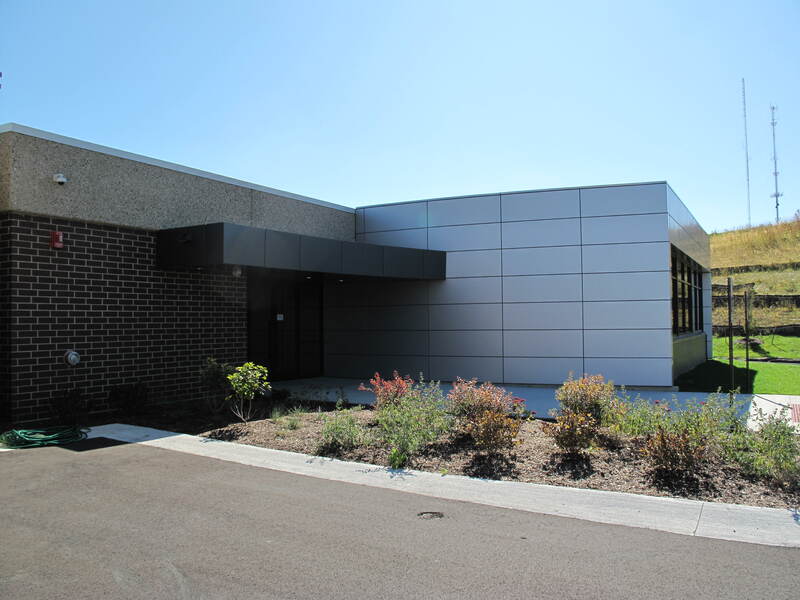 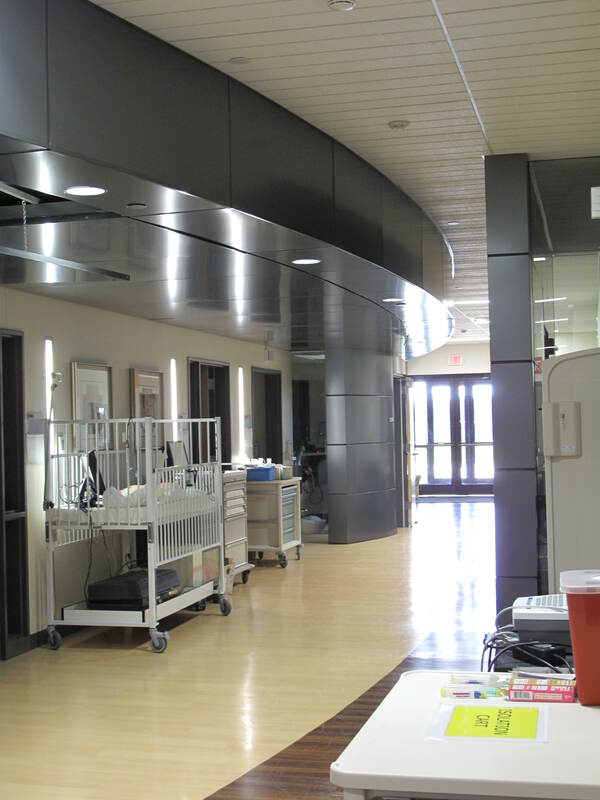 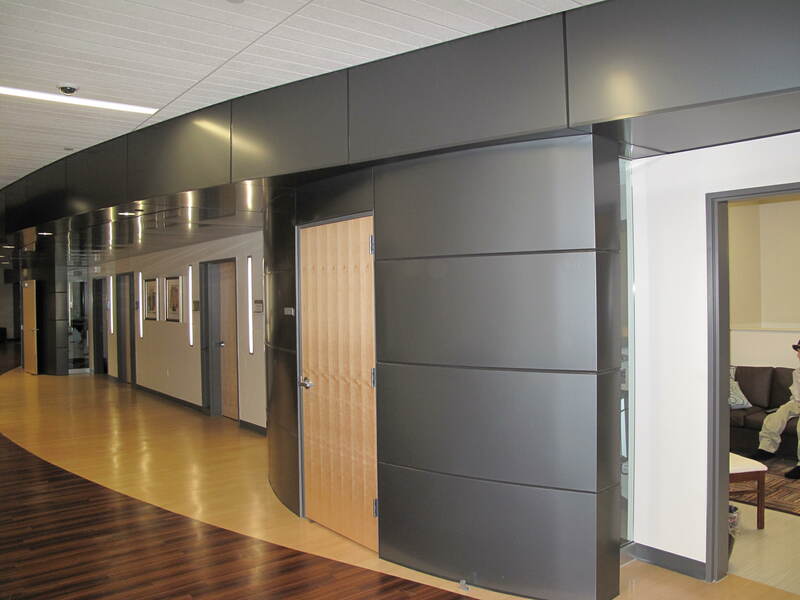 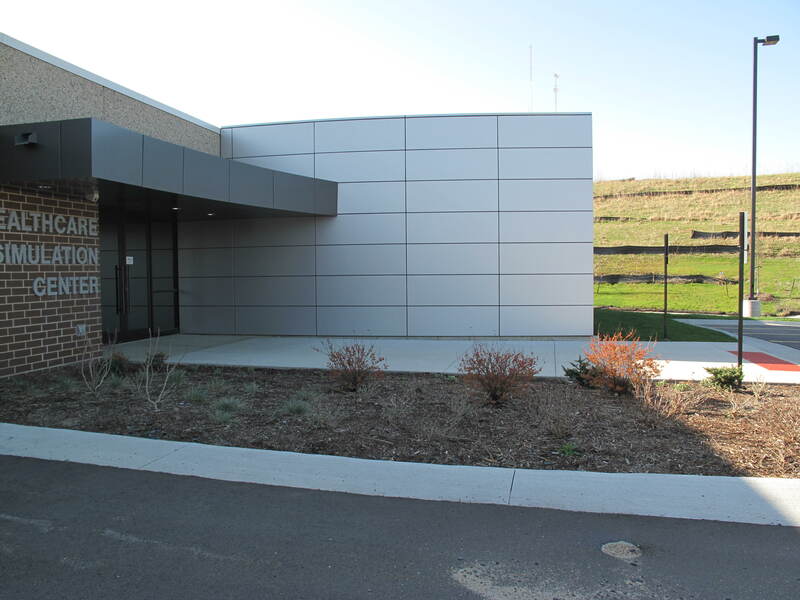 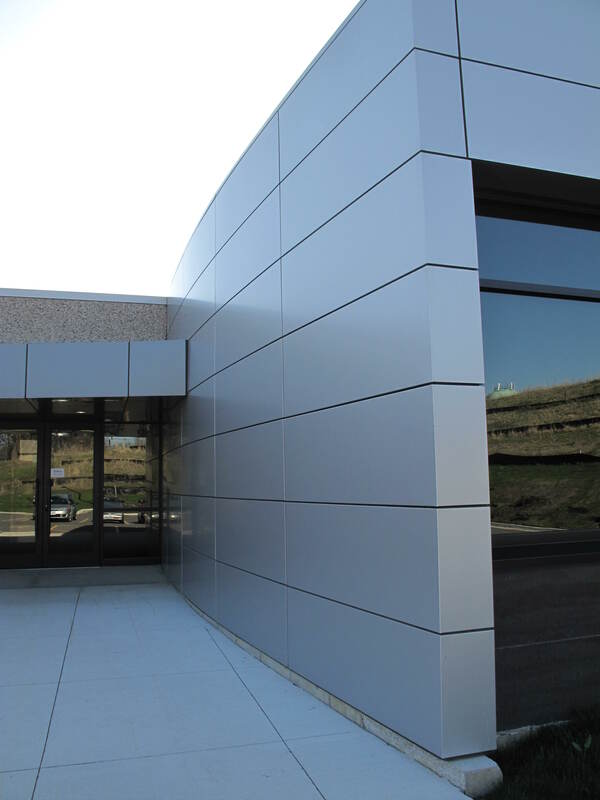 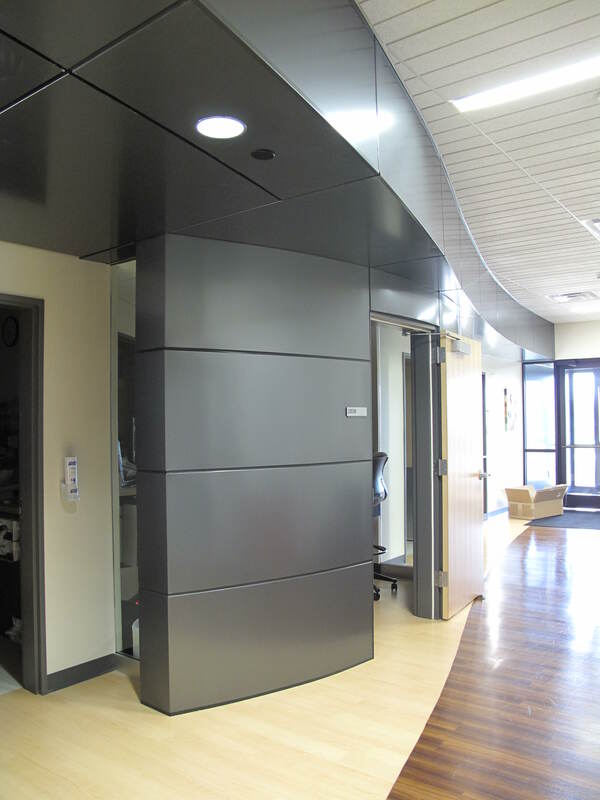 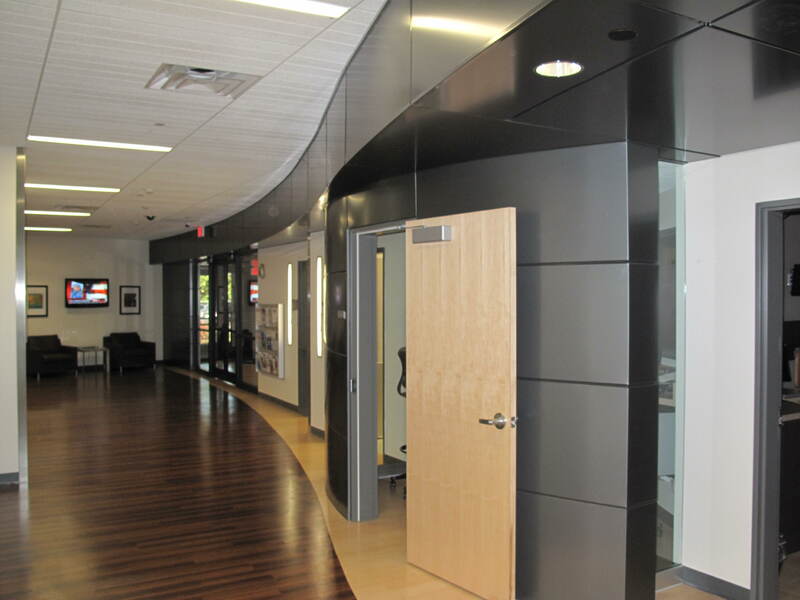 Metal Design Systems Series 42 Progressive Gasket Sealed System was selected for the Kirkwood Health Simulation Lab, featuring interior and exterior complimentary colors of ACM Material. 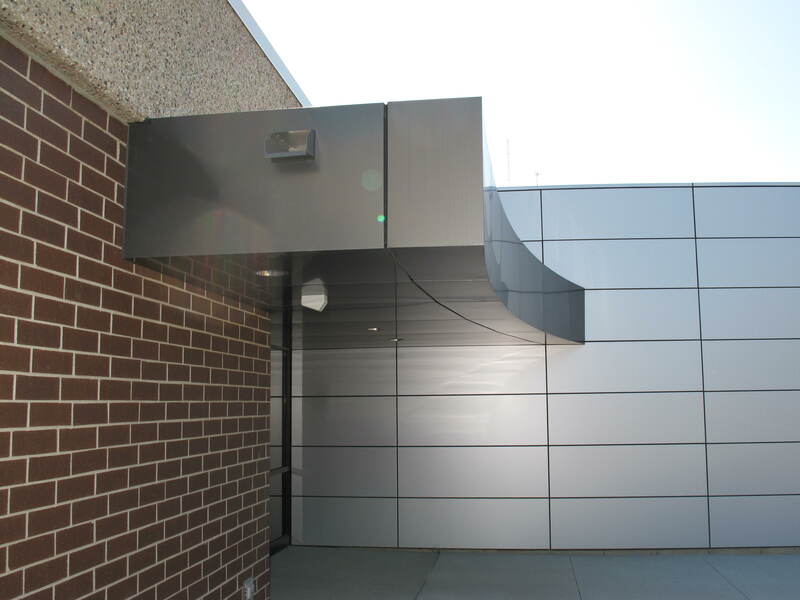 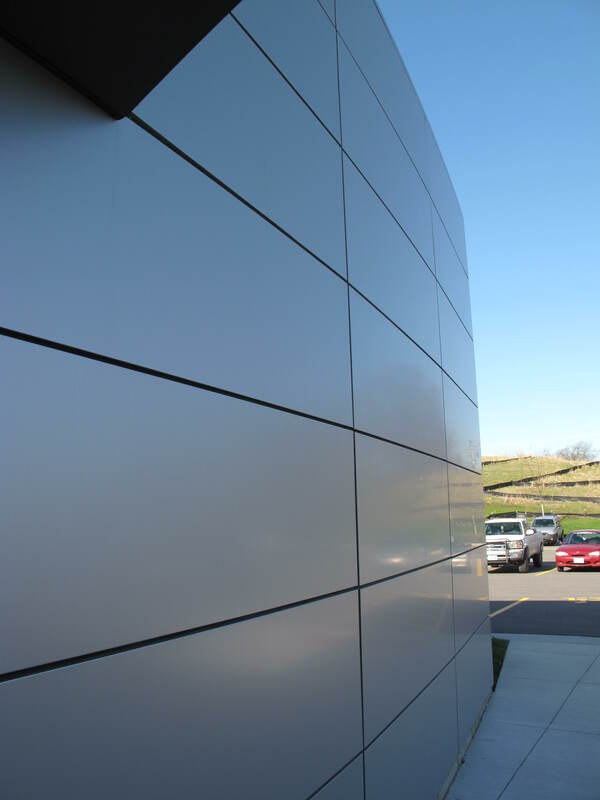 The exterior façade has silver ACM wall panels with a unique radiused ACM canopy feature in a darker grey ACM above the entry. 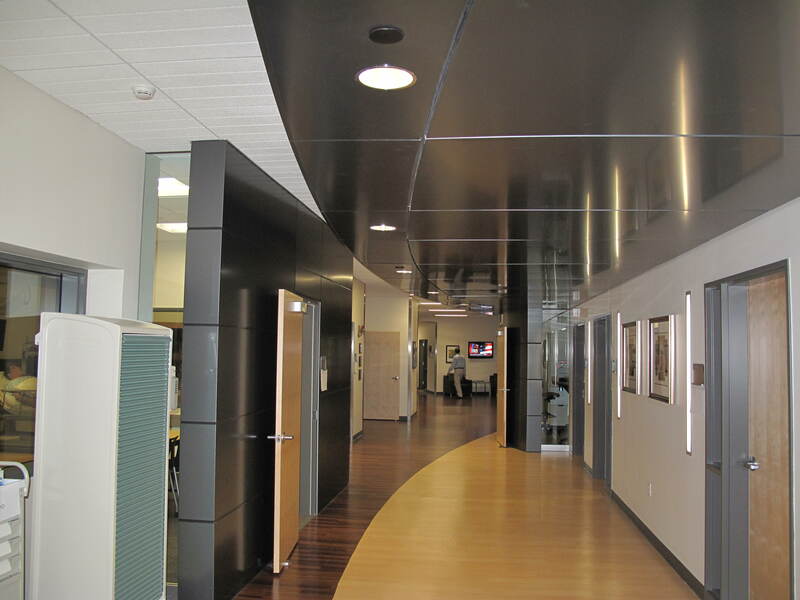 The interior panels continue with the darker grey ACM, highlighting the radius ceiling elements and coordinating beautifully with the lighter ACM down to the wood flooring, for a completed polished look.